Topic: The directory containing the user's certificate file? Re: The directory containing the user's certificate file? No any files in this folder? Try to see this folder as root. Topic: What is the PHP type of VestaCP? I have already CHMOD, but the error is due to the installation phpMyAdmin error, I have reinstalled phpMyAdmin, it was working properly! Apache: 2.2 to 2.4.37 (latest). MySQL: from 5.x to 8.0 (latest). 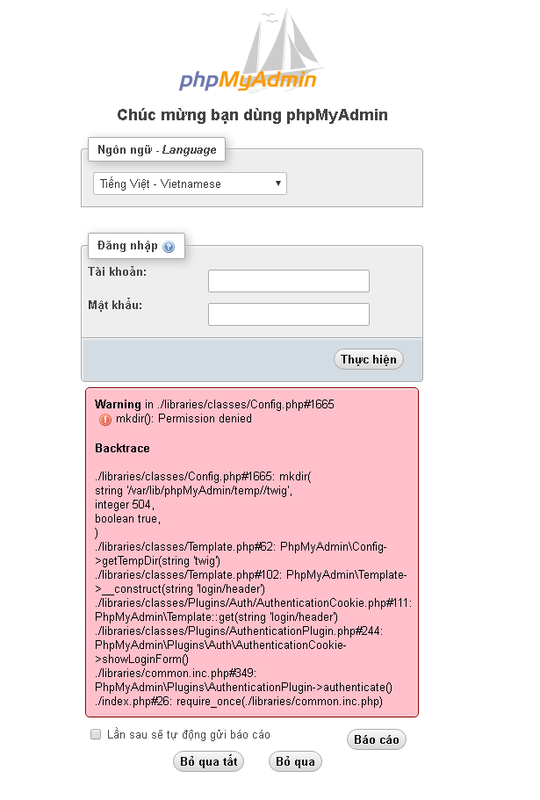 phpMyAdmin: From 4.x to 4.8.3 (latest). Without breaking VestaCP how do it?